Do not try to disassemble the cartridge or bearings inside cartridge may fall out. 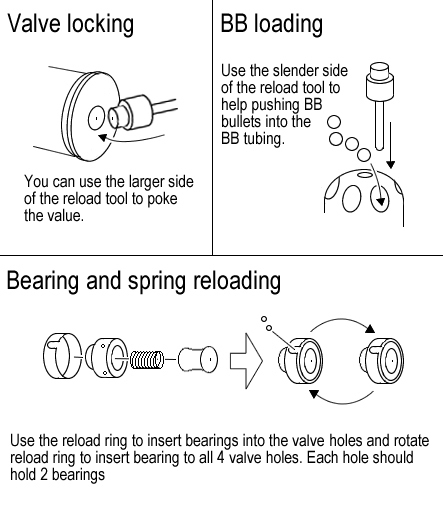 Use 40mm Cartridge Reload Tool (KA-TOOL-01) to reinstall bearing if needed. M433 HEDP type cartridge for grenade launcher. Can hold 60 Rounds BB. 60 rounds BB cartridge for grenade launcher. Well-polished, nicely sealed, beautiful piece of CNC machined work which enables to increase the firing power.